Pete has been a public educator for 30 years, serving in numerous roles including program evaluation specialist, systems analyst, transportation planner, and IT manager. For the last 8 years he’s been Transportation Director at Newport-Mesa USD in southern California. Pete’s primary work interests involve creatively supporting transportation for students with special needs, improving leadership/management practices, and refining transportation operations. 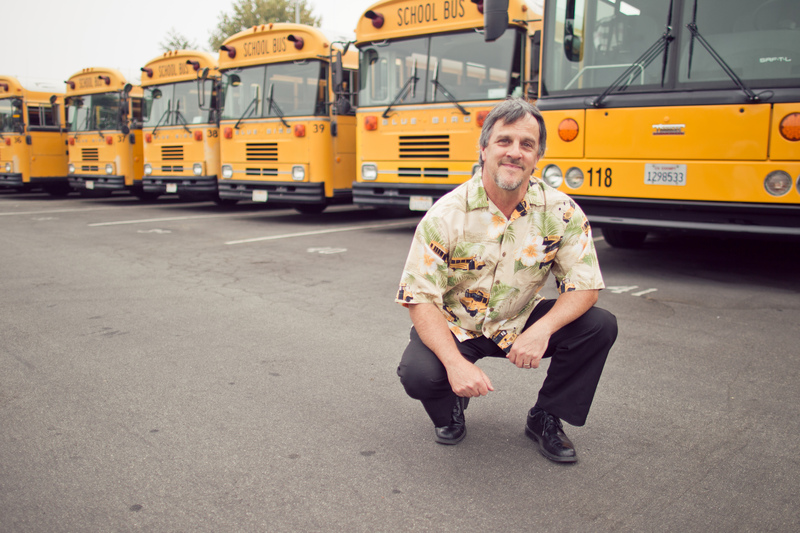 He is the recipient of several awards including Orange County Friend of Special Education, NMUSD Administrator of the Year, and the School Transportation News Leadership Award. Pete has published numerous articles in industry journals, along with Access & Mobility(California’s guidebook for transporting students with disabilities). He is a frequent presenter at national, regional, and state conferences where he is sought after for his informative and entertaining presentations which typically offer practical advice mixed with a few laughs. Pete likes to apply expertise from his diverse experiences to transportation problems and issues. For example, his Transportation Management Lessons from Baseball uses his years of experience coaching travel baseball and softball. It’s Good to Be On the Lead Elephant applies leadership lessons learned in Asia. Special Ed Data: How to Get It & What to Do With It applies business systems expertise to common transportation operational issues. Pete has a deeply-rooted passion for travel. He started schooling in New York but finished high school in West Texas. His college education started in Texas with a very brief stint in California, and finished with grad school at Cornell in upstate New York. It’s not surprising then that he met his wife Jan in Houston, even though she is from Minnesota. The Meslin kids have taken the travel bug to another level. Son Scott has travelled around the world playing soccer. He and girlfriend Jody will now be working in Thailand for a year. The annual father/son Father’s Day round of golf could be really special this year. Meanwhile, daughter Erica has traveled throughout the U.S. playing softball and is now teaching in the Dominican Republic. Pete is brushing up on his Spanish for a winter break in the D.R. You’ve got to visit your kids – right? I have a dual custody and transportation out of district question. We have been asked to transport a student out of our district boundary to one of the two parents homes, who share custody. Mom lives in our district, and dad lives outside the district, student attends school in our district; are we required by law to transport to dad’s on the days he stays at dad’s home? I sent you an email response since there are several things to consider and the blog comment area is rather limited. Please let me know if you didn’t receive it. What was the response to Susan’s question. I have always wondered what would happen in a situation like that. I would think that we would only be responsible to transport from the house where the student lives the majority of the time or where the student resided on October 15 of the school school year. Is this correct or am I entirely wrong on this? First, check local law. We’re I’m from (Cal.) there is no applicable state law. Certainly the split custody agreement applies to the parents – not the district. Next, what does your written Board or department policy say on the issue? For example, does it prohibit delivery to a daycare outside district boundaries all students. (Our’s does.) In that case, although it may appear cruel, you can reasonably make the case that the district does not perform this service for anyone. By extension the student in question would not receive the service either. If you don’t have such a policy then consider precedent. What have you done in similar circumstances before? It can get very “mucky” here and you should probably involve your district’s legal counsel. Their guidance on whether you should consider this a “hill to die on” would be very valuable. Compromise might be an option to consider rather than just saying “no” even if you can legally do so. That would be my approach but please email or call me if you’d like to discuss it more. Come on Pete… Rekindle this blog.